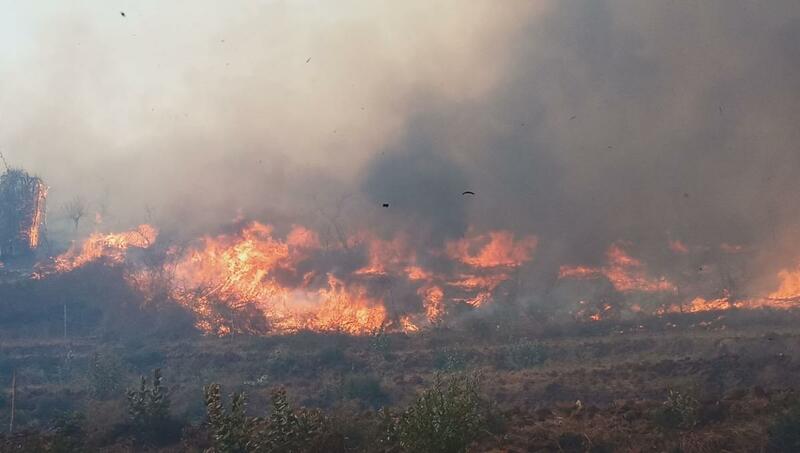 Vegetation on nearly 1,000 acers of forest has been destroyed at Male Mahadeshwara Hill and Cauvery Wild Life Sanctuary, due to the fire, which broke out on Thursday. The fire is yet to be doused. 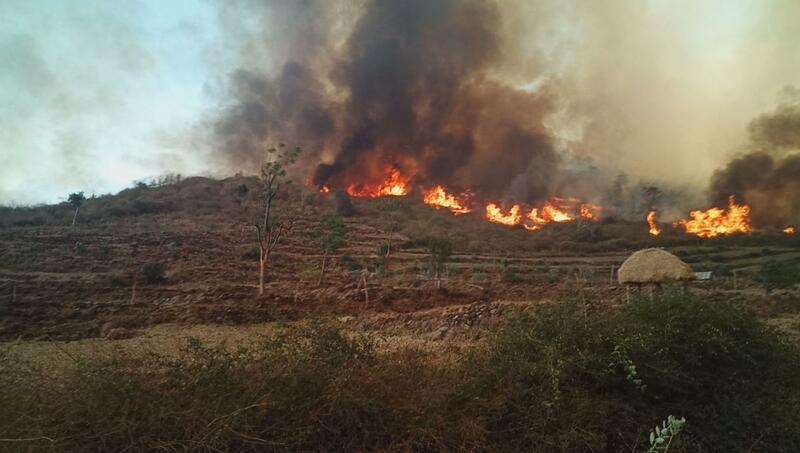 The fire broke out at MM Hill Forest Range and Koudalli range under Cauvery Wildlife Sanctuary. The Forest Department officials are trying to douse the fire. According to the officials, the fire is man-made. It broke out at Asturu beat in Koudalli range and spread to Boli Betta, Dodda Betta, Dodalla Betta in MM Hills Range. The fire spread fast due to dry grass and bamboo. The teams of Forest officials, led by Deputy Conservators of Forests V Yedukondalu and Ramesh, are trying to douse the fire. Sources in the Forest Department claimed that the officials have clues about the culprits and will arrest them soon.